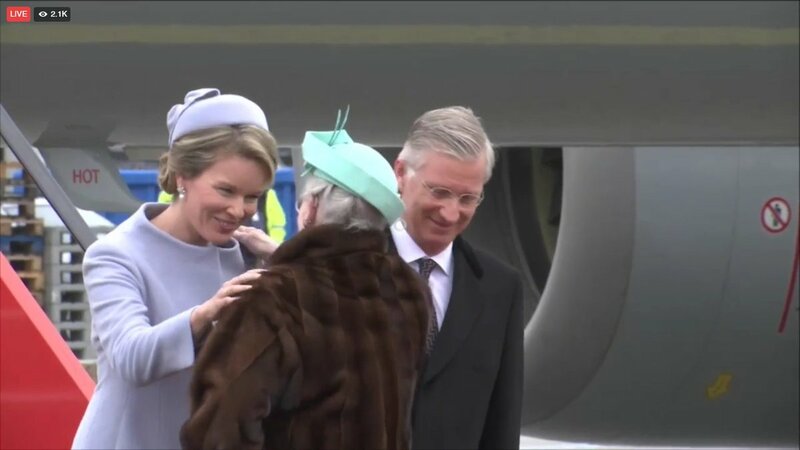 "Earlier in the day there was rehearsal of tomorrow's carriage ride where H.M. King Philippe and Queen Mathilde of Belgium, H.M. 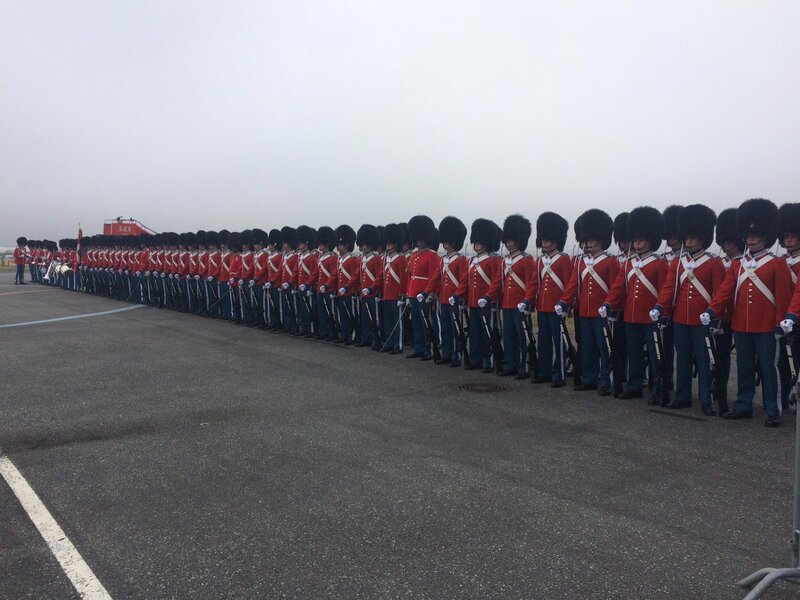 The Queen and the Crown Prince and Princess at 11.00 will be escorted by carriage of Gardehussarregimentets horse squadron to Christian VII's Palace, Amalienborg." the carriage ride with the Crown Prince Couple is something new right? I don't think so. See the footage below of Queen Elizabeth II's visit to Denmark in 1957. The Queen rode with King Frederik IX in one carriage while the Duke of Edinburgh rode with Queen Ingrid and Princess Margrethe, the heiress to the throne (she was not officially called "Crown Princess" because that title is only for an heiress apparent or the wife of an heir apparent while she was only an heiress presumptive). There's also a carriage ride with the guests, Queen M and the Crown Prince couple. Inreresting. 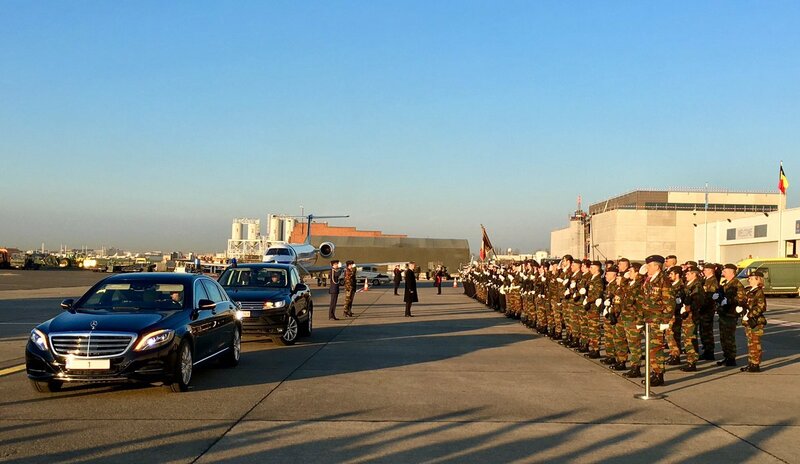 There wasn'tz one at the dutch state Visit. From where will the ride to Amalienborg? From Kastellet (The Citadel) to Amalienborg. Unfortunately I don't follow the DRF very closely, but Prince Henrik is conspicuous by his absence in the programme of events. 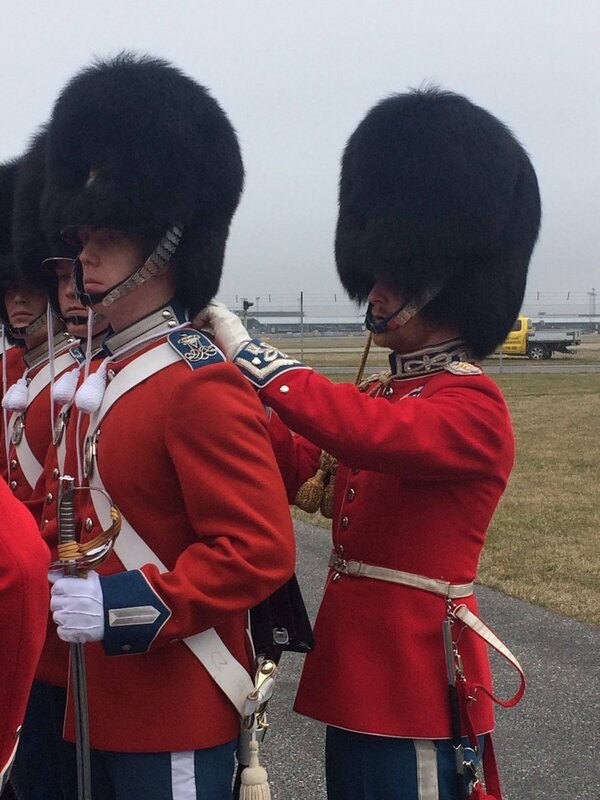 I know I read something about his retiring from 'royal duties' - I assume this is the reason? I think it's likely a mix of things. Henrik has retired for the most part. Which means Marge is flying solo. Many of these events call for a couple. The couples pair up for events. Marge could accompany Philippe as the monarch, or his wife but not both. Technically Fred could simply fill in, but I think age may be the other factor. Fred and Mary are the same age group as the Belgiahs. And until recently were both heirs. It likely makes as much sense to have Mary hits Mathilde for events, then Marge. Marge is the one who will be greeting Phil and Mattie. 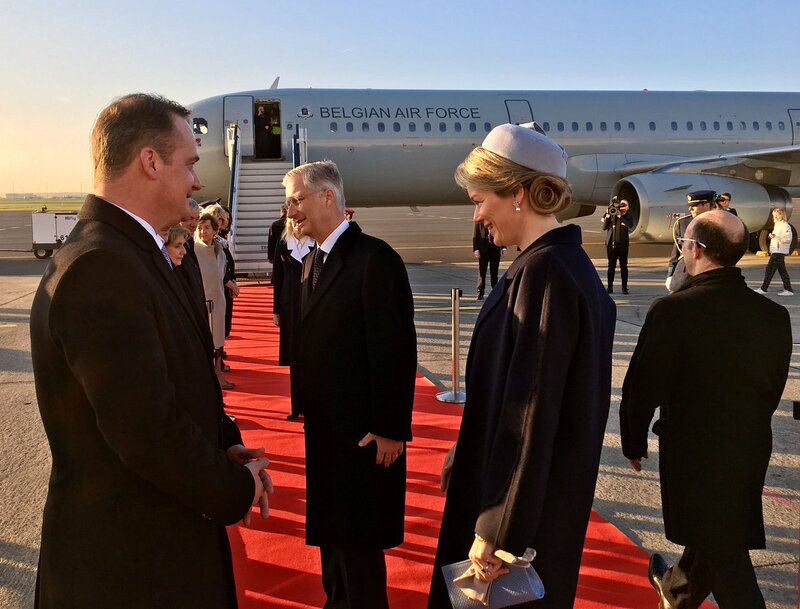 King Philippe and Queen Mathilde pictured at Melsbroek Airport ahead of the departure on the first day of a three days State visit of the Belgian royal couple to Denmark, Tuesday 28 March 2017, in Melsbroek, Brussels. For those few who can watch TV2 outside DK, they are sending live now from the airport. I won't bother provide a live link, because most here can't see anything. The ladies look elegant. Mary wearing a pill-box. Our Marie wearing a head-thingy. QMII is her usual style. 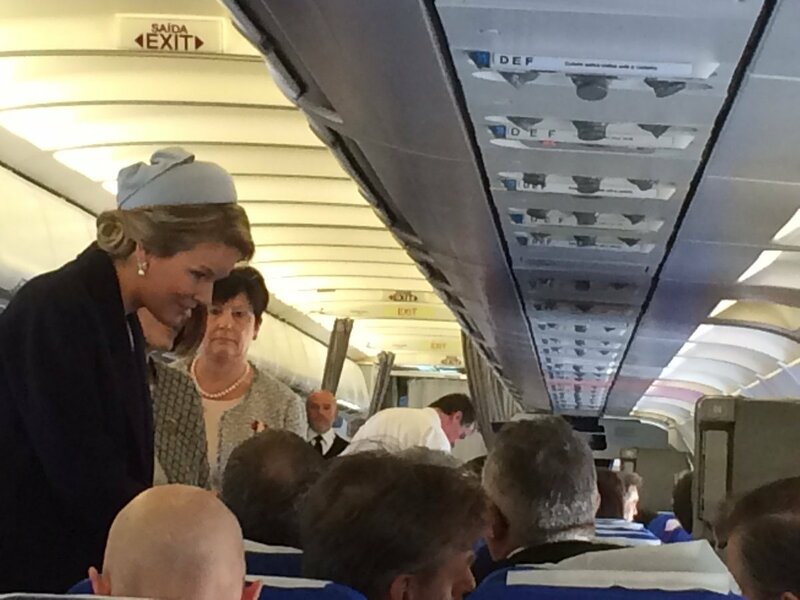 As can be expected Queen Mathilde is also looking elegant. It's always disconcerting to see Joachim bow deeply. He's a tall man and I always fear he might knock someone over. And the saga about PH continues. 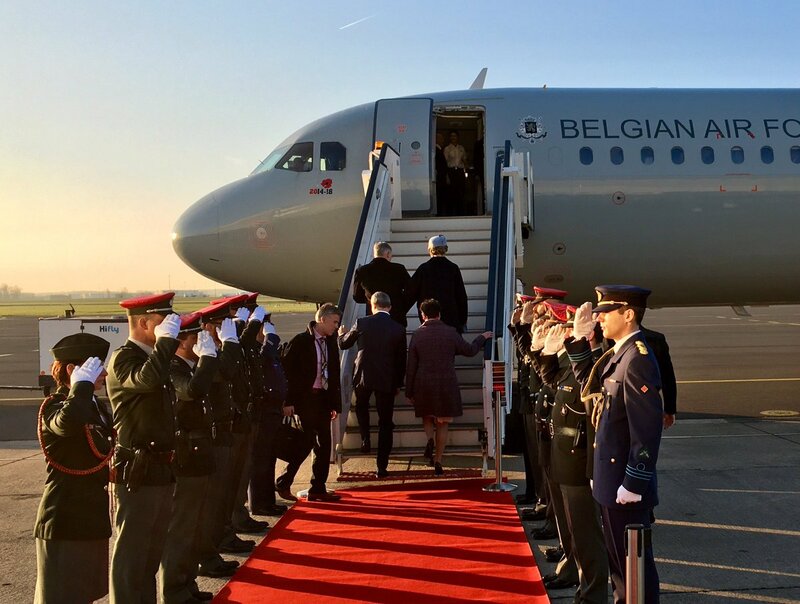 In the interview to the Belgian press QMII said that although PH has more or less retired he would be present at part of the visit. PH is abroad somewhere and will not take part in the state visit at all. Further info is expected as the press digs deeper. I'm sitting in my the office and have watched it live on TV2. The coverage continues on TV2 News, which I unfortunately don't have access to here in Norway. LOL Looking forward to your witty remarks during this visit! Live coverage on TV2 now of the carriage procession. If you leave the link on after watching the clip from today, it continues witha report from Berleburg and the Funeral of Prince Richard. The police officers behind the car do not seem too impressed with the visitors, they seem more focussed on aerobic jumps. 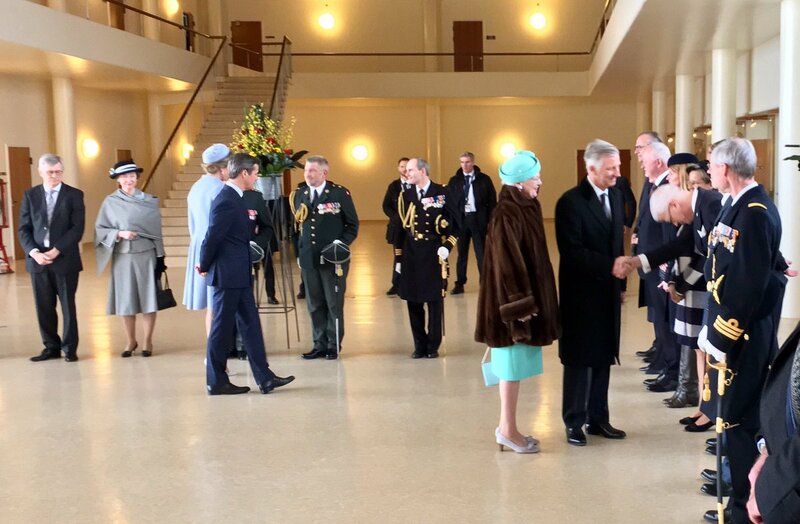 Queen Margrethe II said in her interview to the Belgian press that she considers the Belgian royals "family" even though they are not that close in terms of degrees of kinship ( King Albert II is her second cousin ).